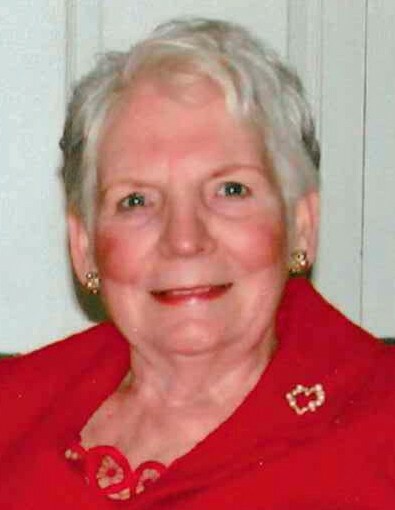 Ann M. (Barry) Ocepek, 88, of Greensburg, died Monday, Dec. 3, 2018, in the Hillside Manor. She was born Sept. 8, 1930, in Pittsburgh, a daughter of the late Edward and Nora Joyce Barry. Prior to moving closer to her daughter, she was a member of Our Lady of Grace Church. Before raising her children, she worked for a time as a secretary for Gulf Oil and security at Kauffman's. Ann was very proud of her Irish heritage and was faithful to the Blessed Mother. Her grandchildren will fondly remember "Granma O" as a devoted and loving grandmother. In addition to her parents, she was preceded in death by her husband, Rudolph Ocepek Jr.; two brothers, Michael and Patrick Barry; and two sisters, Margaret Barry and Theresa Schall. She is survived by her four children, Edward Ocepek, of Pittsburgh, Paul Ocepek (Natalie), of Norfolk, Mass., Christine Fulciniti (Rocco), of Pittsburgh, and Brian Ocepek (Stephanie), of Thornton, Colo.; four grandchildren, Antonio and Briana Fulciniti, Ella Ocepek and Quinn Ocepek; sister, Norene Coyne, of Philadelphia; and numerous nieces and nephews. Relatives and friends are invited to celebrate the life of Ann from 10 to 11 a.m. Saturday, the time of services, in the CLEMENT L. PANTALONE FUNERAL HOME INC., 409 W. Pittsburgh St., Greensburg, PA 15601, 724-837-0020. Entombment will follow in Greensburg Catholic Cemetery Mausoleum. In lieu of flowers, memorial donations may be made to St. Jude Children's Research Hospital, 501 St. Jude Place, Memphis, TN 38105. Ann's family has entrusted her care to the Pantalone Funeral Home Inc., Greensburg. To share your memories and photos, offer your condolences, or for directions please visit us at www.pantalone.com. Natale N. Pantalone, supervisor.